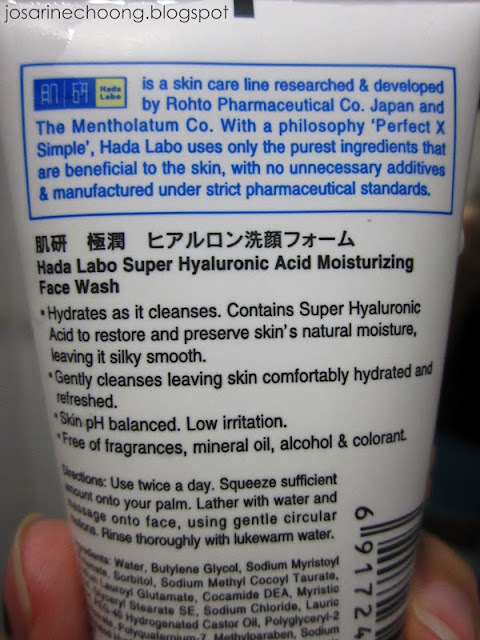 While I was looking for a new facial wash to try out hoping that it'll do my skin better, I was attracted to Hada Labo. Reason is because I saw a lot of Ads in magazines regarding this product and at the same time many good reviews. 2. The super hyaluronic acid will restore skin's natural moisture leaving it silky smooth. 1. It does indeed hydrates, my skin felt soft and comfortable after cleanse, did not feel dry at all. It felt really clean and fresh. BUT - it did not clear out my black and white heads. Noticed while using this facial wash for a month, blackheads condition did not improve, and I think it got worse. So this is not suitable for people with a lot of black and white heads like me, or even acne. 2. 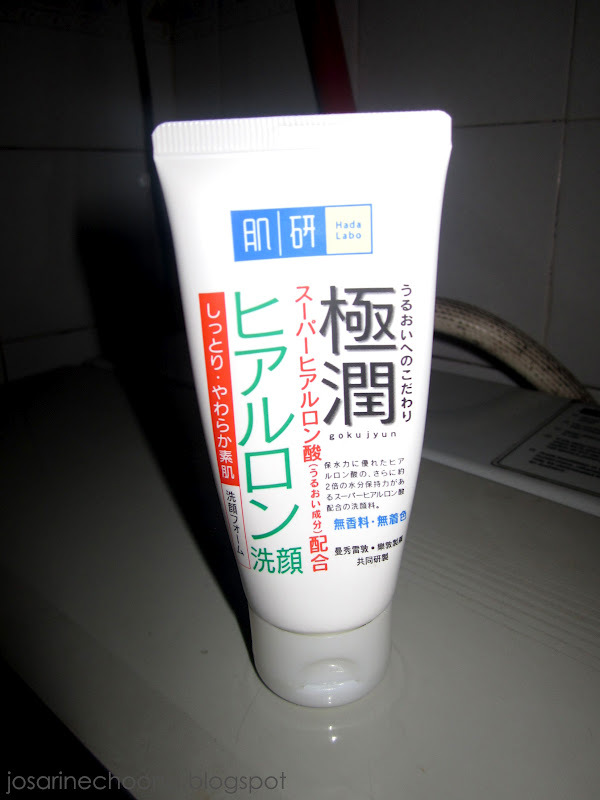 Yes it did restore the natural moisture, face was silky smooth after cleansing. 3. Indeed the cleansing was gentle, in fact too gentle for my skin. Even so, my skin felt hydrated and refreshed. 4. I did not encounter any irritation however I remember the first few times using this product, I noticed weird dots on my face. The dots looked like mosquito or some insect's bite, but it wasn't itchy. 5. I guess so, because it did not smell nice. Honestly I don't really like the smell of it. It's a very gentle facial wash, suitable for every day use, and for those with normal skin. Don't think it's recommended to those with black and white heads, or acne even.